The vehicle we’re highlighting today is absolutely stunning and still relatively new! Only a couple of years old and with only just over 7,000 miles on the odometer, this 2017 Audi R8 Coupe V10 Plus will make an excellent option for anyone with a lead foot. This beast is covered in a camouflage green matte exterior pain and is every bit as beautiful as it is fierce. With design and high-performance in spades, it’s also packed full of premium features to boot. The best news of all? It’s for sale right here in North Miami Beach FL. 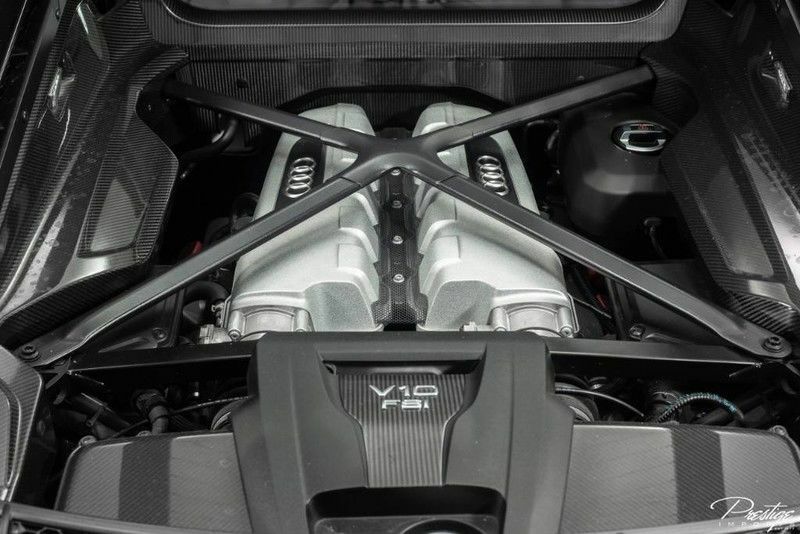 Powered by a 5.2L V10 engine, is not only capable of generating 610 horsepower (the most powerful engine ever produced by Audi at the time of its conception) and 413 pound-feet of torque, but also of hitting 60 miles per hour in a lightning-fast 2.9 seconds. That’s some pretty incredible power, but it’s only the beginning. It also cleared the quarter-mile test in just 10.9 seconds at a speed of 129 miles per hour. Plus, from a speed of 70 miles per hour, it needed just 153 feet to come to a complete stop. So far, we’ve only covered performance. As we mentioned, it’s also packed with plenty of premium content and features to really deliver on the luxury front. 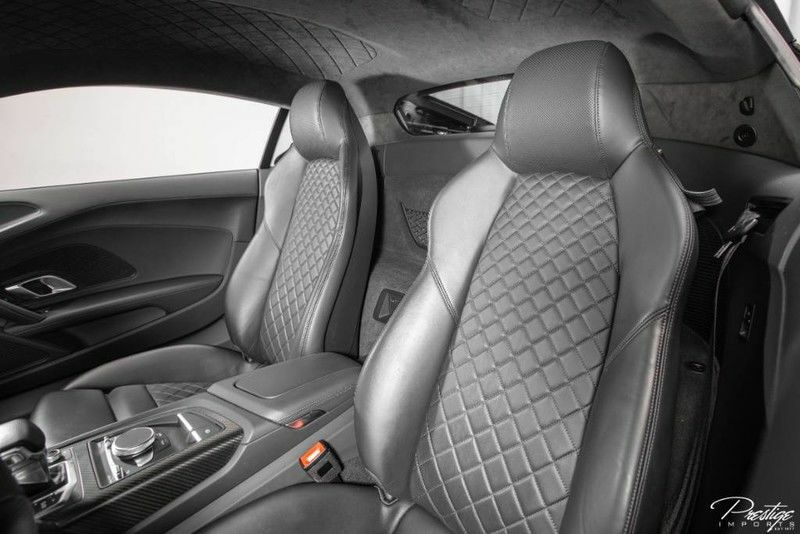 To name just a few of the incredible features offered in this R8 Coupe V10 Plus, it comes equipped with a back-up camera, keyless entry and push-button start, variable intermittent windshield wipers, power-folding, and heated mirrors, a premium sound system and Wi-Fi hotspot among so much more. If you think you might be interested in bring this 2017 Audi R8 Coupe hope with you, be sure to get in touch with us right here at Prestige Imports today! Which Audi model will be in ‘Spider-Man: Homecoming’? This entry was posted on Friday, February 8th, 2019 at 8:31 pm	and is filed under Audi. You can follow any responses to this entry through the RSS 2.0 feed. You can skip to the end and leave a response. Pinging is currently not allowed.